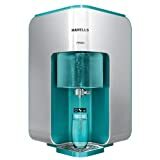 Have you been considering or thinking about buying a water purifier which is reasonably priced yet good in quality? If yes, I have chosen for you some of the cheapest and best water purifiers in terms of quality. I have ensured that the discounted price amount for any water purifier does not exceed 10000 rupees. The below mentioned water purifiers are relatively less expensive or cheap when compared in terms of products within its category, brands, etc. 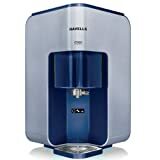 There are few water purifiers which are more cheaper, but has a high percentage of negative reviews; hence, I have filtered out those and presented before you only best quality water purifiers. The list comprises of water purifiers ranging from the ordinary UV water purifier to the complex RO water purifiers from which you can choose the one which is ideal for you. The company which has manufactured Ruby RO+UV+TDS water purifier has got 10 years expertise in RO drinking water systems. This product is comparatively very cheap to its other competitors who sell RO water purifiers at a relatively higher price. Multi-stage purification process. In total, there are 11 stages of purification process. Consists of a pre-filter, sediment filter, pre-activated carbon filter, RO membrane, post carbon with added mineral cartridge consisting of 5 different minerals, UV disinfection. Other purifier accessories consists of Philips Uv Choke, 100 Gpd Bnqs Pump, Sankyo Denki Japan Uv Tube, high quality Membrane. Storage tank capacity of 12 litres. ABS food grade plastic cabinet. Please read the legal disclaimer before buying this product. You are supposed to buy only from “AQUA PHOENIX” who is manufacturer of this product. Also, check for installation and warranty information. For customer reviews on Ruby RO+UV+TDS Controller Water Purifier,White & Blue, read it here. The Kent Maxx water purifier uses dual purification technology of UV and UF filtration process. This is not an RO water purifier. However, this purifier can filter out sediments and other harmful bacteria, cysts, viruses, etc. Storage capacity of 7 litres. Can purify 1 litre of water in 1 minute with a maximum of 120 litres/day. UF+UV filtration technology. Filter cartridges comprises of Sediment, Activated Carbon and UF membrane. UV fail and filter change alarm. Built-in SMPS for voltage fluctuation. Fully automatic purifier, manual intervention not necessary. Push fit components preventing leakages and wastage of water. CE and ISI certified meeting quality standards. 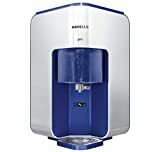 Note: This purifier is suitable only for tap/municipal water which has relatively low TDS level. For customer reviews on KENT Maxx 7-Litres UV + UF Water Purifier with detachable storage tank, read it here. The HUL Pureit WPWL 100 Classic water purifier is a non-electric or gravity-based water purifier. It is specifically designed with the requirement of the Indian household in mind. This water purifier can give you 1500 litres of clean potable water on a single cartridge. High storage of 23 litres with clean water storage capacity of 9 litres. Good durability, made from high quality food grade plastic. Automatic shut-off safety system mechanism. Germkill cartridge life of 1500 litres. Gravity-based water purifier, hence electricity not needed. Certified by US EPA (Environmental Protection Agency). For customer reviews on HUL Pureit WPWL100 Classic 23-Litre Water Purifier, read it here. 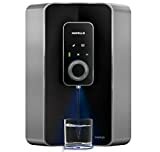 Buybestwaterpurifiers.in is a participant in the Amazon Associates Program, an affiliate advertising program designed to provide a means for sites to earn advertising fees by advertising and linking to amazon.in.